• Almost There. Whenever I need an extra boost of “I can do this”, I always listen to this song. • I See the Light. I LOVE Tangled so much and the “I See the Light” scene is definitely one of the most romantic Disney scenes ever, in my opinion. • For the First Time in Forever. Although “Let It Go” is the song most people associate with Frozen, “For the First Time in Forever” is my favorite Frozen song (how can you not love Kristen Bell’s adorable voice?). • When Can I See You Again. I’ve said this on the blog before but Wreck-It Ralph is my FAVORITE “recent” Disney movie (although Tangled is right up there with it!). Although I liked this song a lot when I originally heard it during the credits of the film, I fell in love with it when it was sampled in Disneyland’s Paint the Night Parade during the 60th Anniversary Diamond Celebration! • Immortals. I’m not a huge fan of Fall Out Boy (even though we’re both from Chicago) but I thought “Immortals” fit so perfectly in Big Hero 6! • Love Is An Open Door. Even though Hans turned out to be a major jerk, this song still makes me smile whenever I listen to it. Speaking of that little Frozen twist, when it was revealed that Hans was in fact a bad guy, the ENTIRE movie theater gasped (luckily I saw Frozen opening day so no one had ruined the twist for me!). • Winnie the Pooh. Fun Fact: The She & Him version of “Winnie the Pooh” featured in 2011’s Winnie the Pooh is the first version of the song to include Tigger in it! 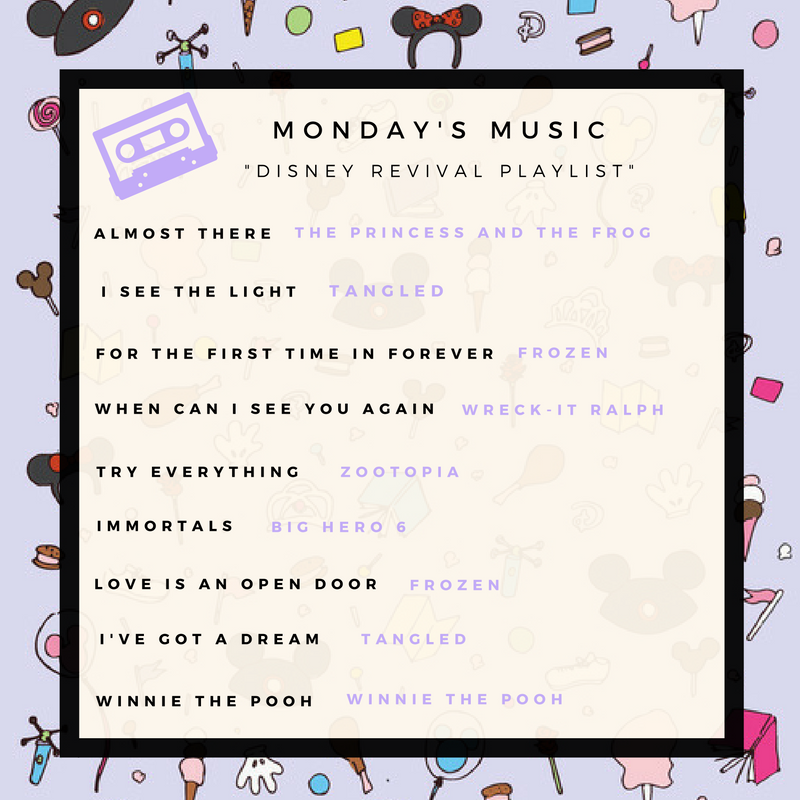 What’s your favorite song from the Disney Revival Era?